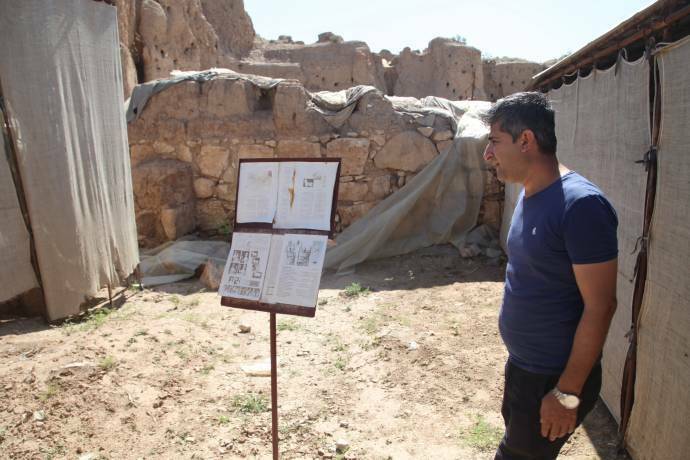 In northern Syria, a new life is being built not only during the seven-year war in Syria, it also preserves the importance of the region’s history. Northern Syria is the direct cultural and geographical continuation of the cultures on the historic hill of Göbekli Tepe and Newala Çori and has many places of immense historical importance. The history of the Neolithic Period, in particular, acquired a new meaning for society through the revolution, which it understands as part of its essence. Many historic sites have been put under protection again. 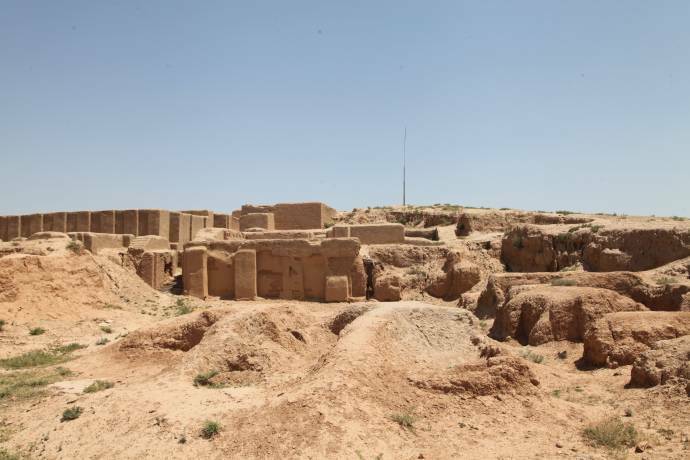 Some historical monuments were tried to be destroyed by the Islamic State, some were severely damaged, others plundered and the objects sold to other countries. There is talk of about 2,000 historical sites in northern Syria, about 1200 of which are located in the canton of Cizirê [Jazira]. One of the areas most damaged by the war was the historic sites. The ISIS wanted to make the remains of a history forgotten by destroying it and destroyed or plundered the historic sites in the cities it occupied in Syria. The castles and walls were used militarily, and the historic objects were sold mainly to France, but also to other European countries. Til Xelef (Tal Halaf) is one of the most ancient settlements located in northern Syria near the city of Serêkaniyê. It is one of the first areas from which the Syrian state was cleared. Til Xelef was temporarily under the control of al-Nusra and the IS, which led to looting and destruction. 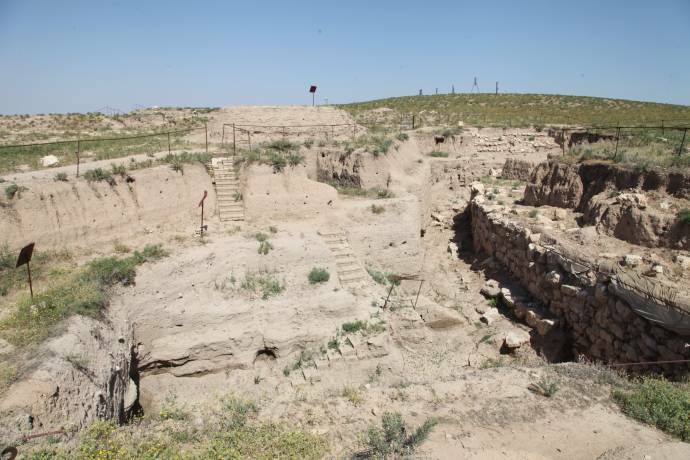 However, since especially small finds were affected, the excavation on Til Xelef could be taken over relatively unscathed apart from some predatory excavations and the expansion of military positions. In Til Xelef the oldest ceramics of the region were found, dating back to about the 6th millennium BC. Til Xelef clearly shows the emergence of new forms of society in the late Neolithic Age. 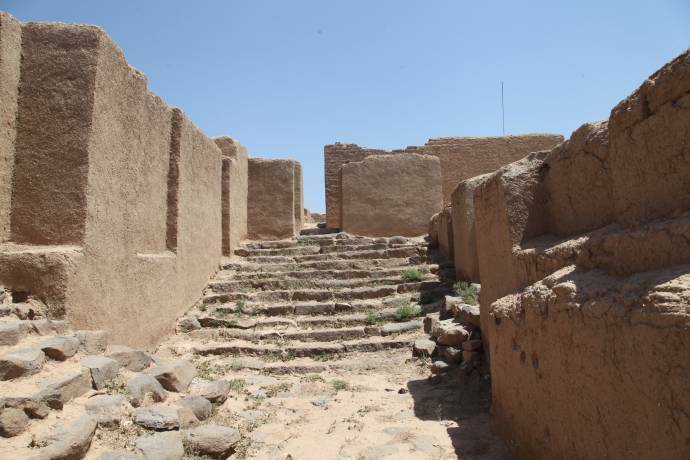 On the Girê (Hill) Mozan, in the town of Amûdê near Qamishlo, lies the Hurrian settlement of Urkash, whose roots can be traced back to about 4500 years. In the vicinity of the hill traces of villages were also found. 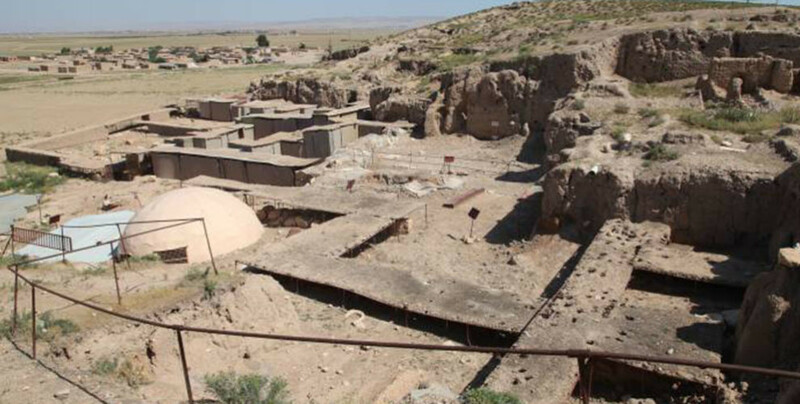 The excavation site, where a German team of archaeologists worked in the days of the Assad dictatorship, is now protected by the YPJ, Women’s Defense Units. In the village on the slope of the hill, prayer places, deposits, toilets, streets, reliefs, seals, ceramics and walls were discovered. 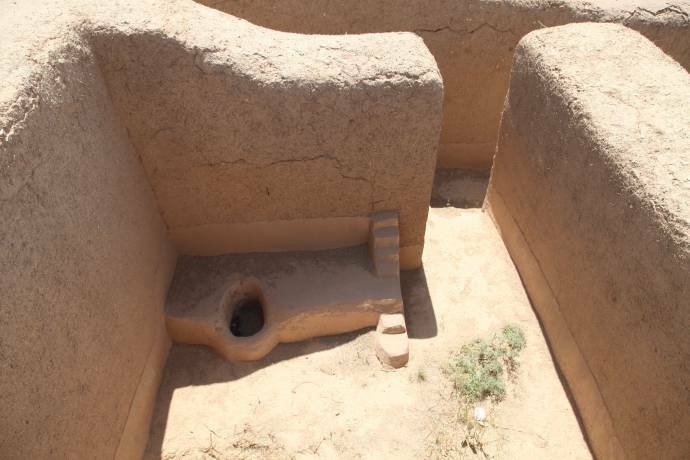 Another important excavation site is Til Beydar, located between Dirbesîyê and Hesekê. The hill about 30 kilometers north of Hesekê is some 25 meters high. Here you will find a 5,000-year settlement history that reaches back to Hellenism. In the former administrative center was a clay tablet archive with over 230 panels from the 24th century BC. found. During the excavations many settlement remains were discovered on the hill. Til Beyder was on an important trade route. In the place caravans stopped again and again. The houses, granaries and shops in the historic village were covered with red clay for their protection. Ristem Ebdo, an executive at the Ministry of Tourism and Archeology, is one of the leaders responsible for protecting the historic cities in the region. He points to the region’s historic wealth and makes it clear that it is an area of importance to both the Middle East and the world. Before the war, archaeological excavations took place in 70 different places. In the context of this work, many finds have come to light, but with the beginning of the war, the researchers had to leave the country.